If the window treatments are hung as high as possible, the windows will seem taller and therefore the room will feel larger. 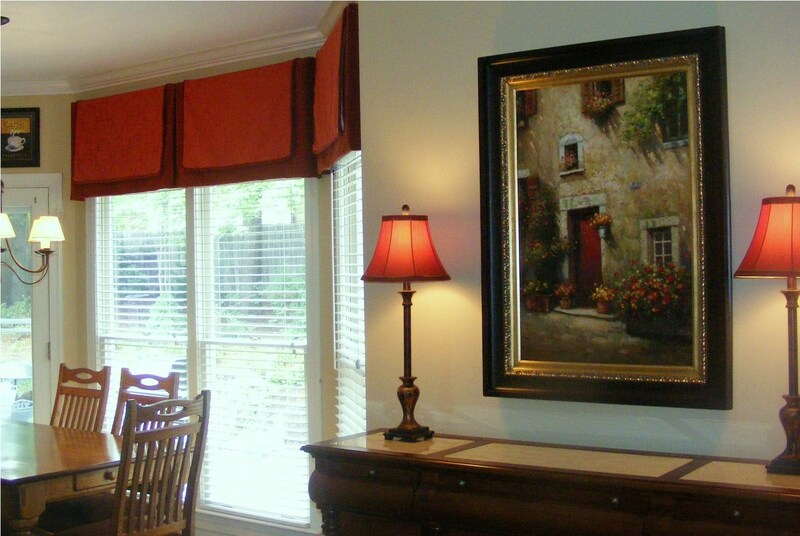 It’s an optical illusion that really made an impact by changing this window valance style. 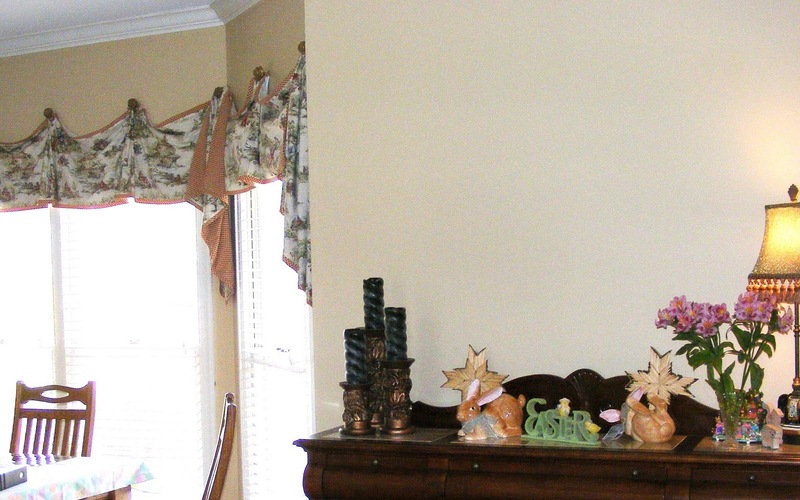 Adjacent rooms in this Greensboro, NC home can be seen as before after photos at transforming rooms.